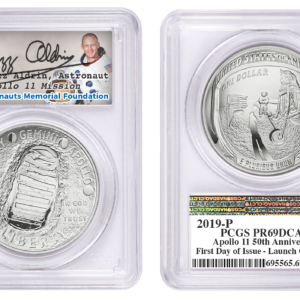 This first day of issue, five-ounce Silver Dollar (aka “puck”) is the first of its kind – it is the only US coin to be made with a proof finish, reeded edge, and curved shape. 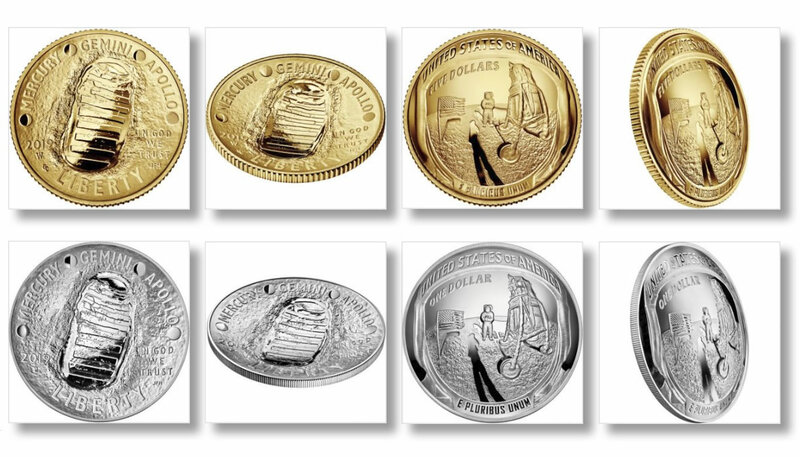 These coins carry the grade of proof 70, the highest grade available. 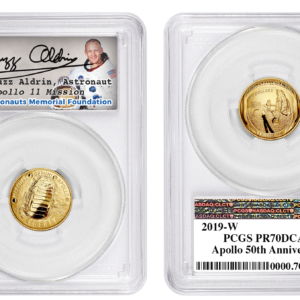 The coin has been handsomely paired with a signature insert authentically signed by Apollo XI astronaut Buzz Aldrin and encapsulated in a proprietary tamper evident, sonically sealed plastic holder (aka Slab) for display. 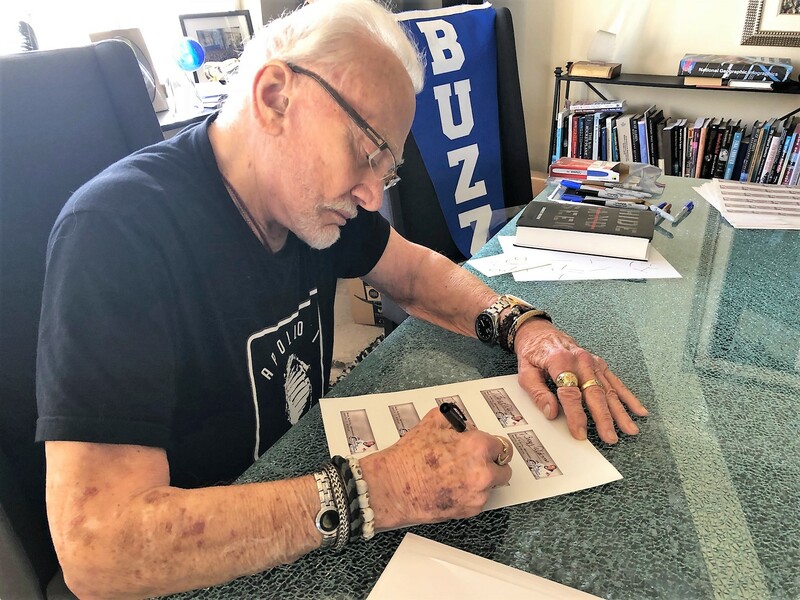 These are the ONLY coin presentations that Dr. Aldrin has signed as part of a joint venture with the non-profit Astronaut Memorial Foundation. 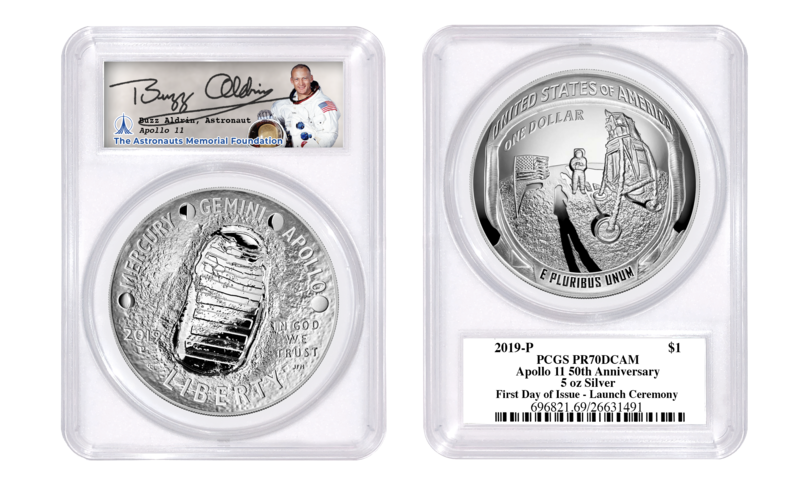 And what better way to celebrate the first manned Moon landing which occurred July 20, 1969!